‘’Meeting the Food Harvest 2020 targets for the dairy sector requires just as much emphasis on developing peoples’ capacity to manage larger dairy herds in a post quota environment, as on dairy facilities and husbandry,” according to Dr Pat Dillon. Tony Pettit, Head of Education, Teagasc also recently higlighted highlighted the importance of education and career planning for the next generation of dairy farmers. ‘’ Education is a key long term investment that farm families need to prioritise. Even non dairying farm families need to consider the opportunities dairy expansion offers their sons or daughters even if these opportunities are to be through collaborative ventures with existing dairy farmers,’’ according to Pettit. Both men were speaking after Teagasc announced the appointment of Marion Beecher as programme co-ordinator for its Professional Diploma in Dairy Farm Management. 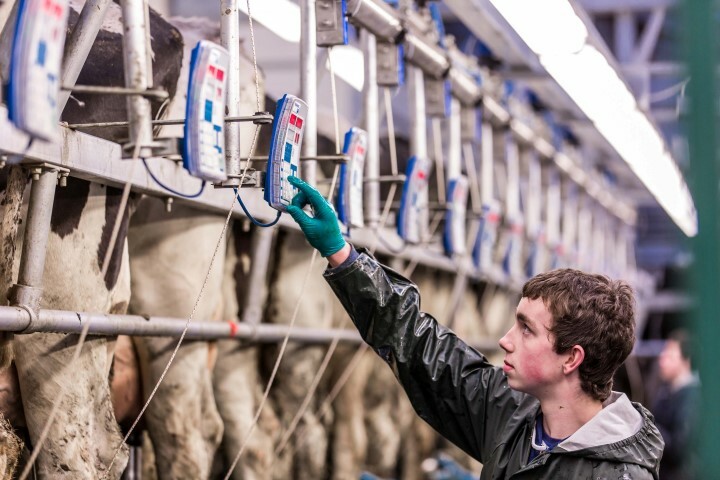 This new position will allow greater co-ordination of delivery of the Teagasc Dairy Farm Management programme and of the farm based professional work experience involved. Marion, who is a native of Co Cork is from a dairy farm background and recently completed a PhD in dairy nutrition. She will be based at Teagasc Animal & Grassland Research and Innovation Centre, Moorepark and will liaise closely with learners, host farmers and Teagasc staff involved in the programme and will lead programme promotion and recruitment. Commenting on her appointment, Marion Beecher said: ‘’I am looking forward to working with students and host farmers and getting their feedback to develop and improve the programme as necessary’’. The closing date for applications for the programme is Friday 11 July.